Minimum wage is the lowest wage an employer can pay an employee. Currently, the minimum wage in Maryland is $8.75 per hour, and it will gradually rise to $10.10 per hour by July 1, 2018. The minimum wage is $10.75 per hour in Prince George’s County and Montgomery County, and will increase to $11.50 by 2017. The federal minimum wage is $7.25 per hour and applies to employers that operate in interstate commerce, which means they have business or contacts that cross state boundaries, or have contracts with the United States government. Employers can pay new employees who are under 20 years old at a minimum wage rate of 85% of the state minimum wage for the first six months of their employment. After six months, employers must pay such employees the full minimum wage. Employers may pay “tipped employees” (employees regularly earning more than $30 per month in tips) a lower wage, not less than $3.63 per hour in most of the state, and $4.00 per hour in Montgomery County. An employer can only pay this tipped minimum wage where the employee earns enough in tips to bring his or her average hourly wage to the minimum wage of $8.75 per hour (or $10.75 per hour in Prince George’s and Montgomery counties). Deficiencies must be supplemented by the employer to bring the employee to the minimum wage level. Certain employees in cafes, drive-ins, drugstores, restaurants, taverns, or other similar establishments that have annual gross incomes of $400,000 or less. Employees who are paid by the hour should generally be paid “time and a half” for each hour they work over 40 hours per week. This is known as “overtime pay.” Example: If your pay is $10 per hour, you should be paid $15 per hour for every hour of overtime, which is every hour you work over 40 hours in a week. Youth under 16 years old must not work more than 40 hours per week. See MD Code Labor & Employment § 3-211. Some agricultural workers get overtime pay only after working 60 hours in a week. Certain employees—who work in bowling establishments or are engaged primarily in the care of individuals and who are aged, sick, or disabled and reside in places other than hospitals—receive overtime pay only after working 48 hours in a week. you are a mechanic, parts-person, or salesperson primarily selling automobiles, trucks or farm equipment. Employers in Maryland must pay their employees at least every two weeks or twice every month. Why does my employer take money out of my paycheck? Employers must make certain deductions from your paycheck to pay for your federal, state, and local income taxes, and taxes under the Federal Insurance Contributions Act (“FICA”), which pays for your future Social Security and Medicare benefits. Employers and employees split the costs of FICA taxes, with employers and employees each paying half. When you start a job, you are given a W-4 form. If you complete the W-4 correctly, the right amount of taxes should be taken out of your paychecks. It is a good idea to file your tax return each year. Most employees are required to file tax returns before April 15 every year. The Internal Revenue Service (“IRS”) does not require people with low incomes, like many youth, to file tax returns. Even if you have a low income, you should still file a return as you may be entitled to a refund. Some low wage workers may also receive an Earned Income Tax Credit. 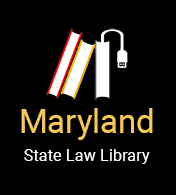 Read the Law: MD Code State Finance and Procurement §§ 18-101, 18-102, 18-103. $10.24 per hour in all other areas in the state of Maryland. Certain counties, such as Montgomery County and Baltimore City, have their own living wage laws for employers who contract with those local governments. Who is covered under the Living Wage Law? You are covered if your employer has a contract with the state of Maryland and fits into certain categories. There are some exceptions. Your employer must pay you the Living Wage if it: (1) has a contract or a subcontract with the state of Maryland, (2) for services valued at $100,000 or more, and (3) you spend at least half of your time working on the work covered by the contract. Who is not covered under the Living Wage Law? the contract is for services needed to prevent or respond to an imminent threat to the public. How do I find out if my employer has a state contract (and how much the contract is)? For more information regarding the Living Wage Law or to report a violation, contact the Maryland Department of Labor, Licensing, and Regulation. The program manager of the Employment Standards Unit may be reached at 410-767-2342 or dldlilivingwage-dllr@maryland.gov. Questions regarding the application of the Living Wage Law relating to a particular procurement should be directed to the procurement officer named in the solicitation. General procurement questions may be directed to the Board of Public Works at 410-260-7335 (local) or 1-877-591-7320 (toll free). See Maryland’s Living Wage Frequently Asked Questions (FAQs) - Living Wage for State Service Contracts. Can the Living Wage be changed? The state of Maryland reviews the Living Wage every year and may adjust it depending on the cost of living in the Washington-Baltimore metropolitan area. An employer may reduce the Living Wage to account for employer contributions to a deferred compensation plan or health insurance premiums for the employee.